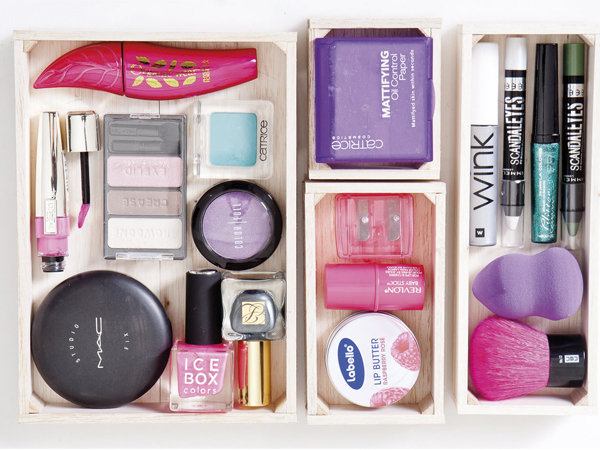 Make these easy to do storage boxes that will fit in your dressing table drawer to keep your make-up neat and tidy. 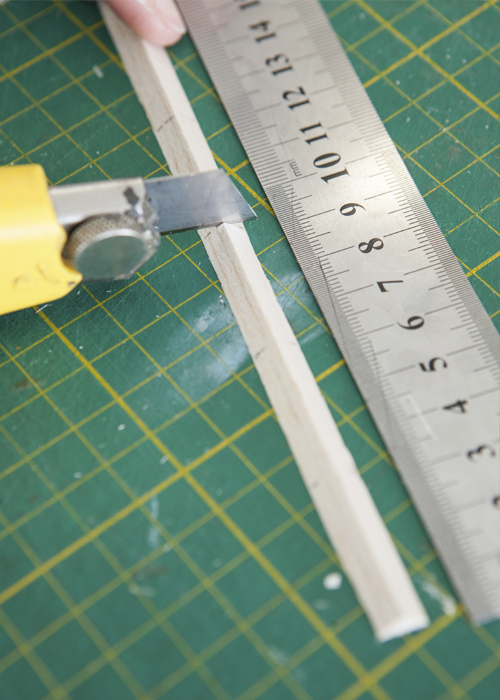 On the Balsa sheet mark the size for the side panels of you box with a pencil. Ours measured two sides of 20 x 3cm and two sides of 7,5 x 3cm. The size of your box is up to what you would like to store in it. 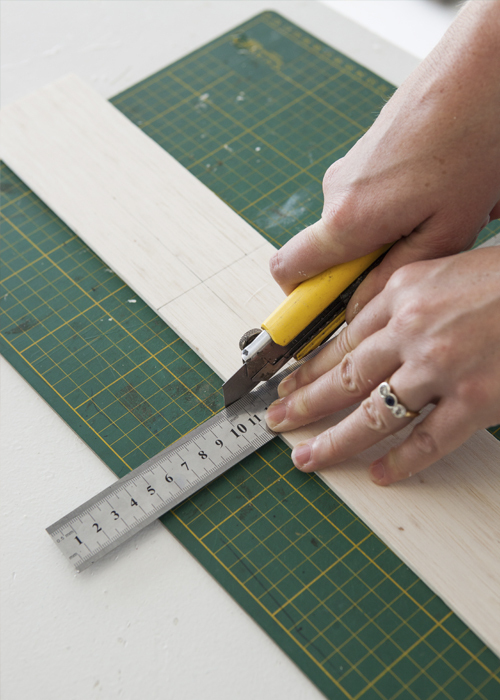 Use the craft knife and ruler to cut it out. 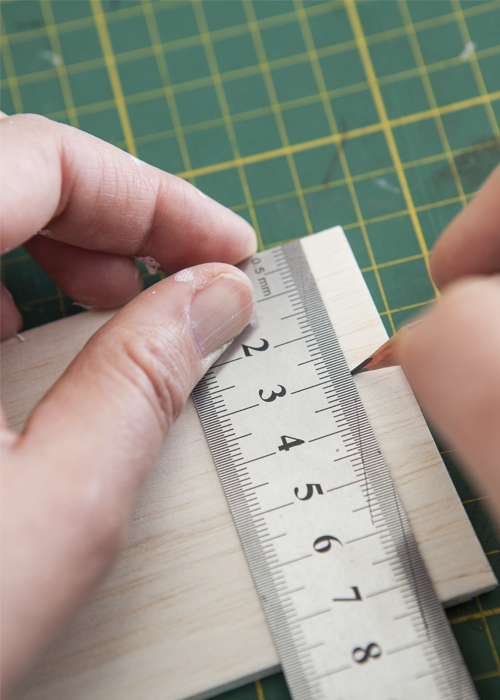 Measure now four lengths of 3cm on the triangular Balsa and cut it with the craft knife. 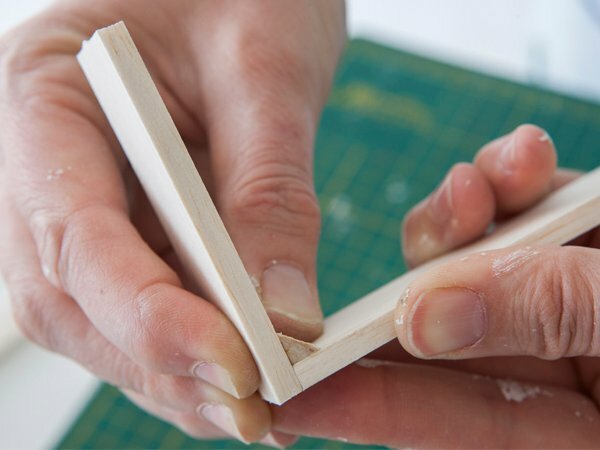 Attach the triangular pieces to the short ends of the 20cm pieces you’ve cut in step 1 with the glue. Apply some pressure for about 30 seconds to make sure it sticks well. 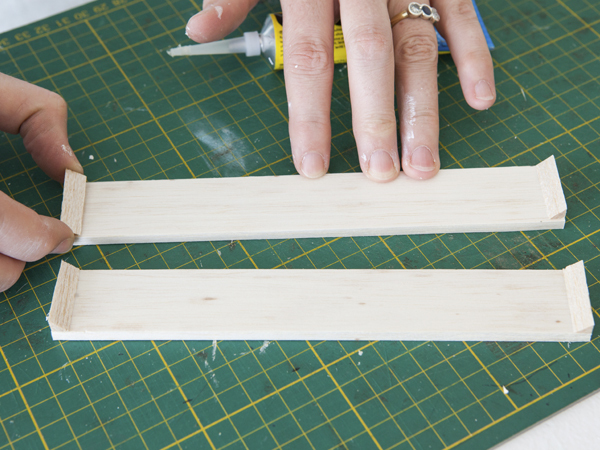 Attach the two short sides to the long sides at a right angle with the glue. 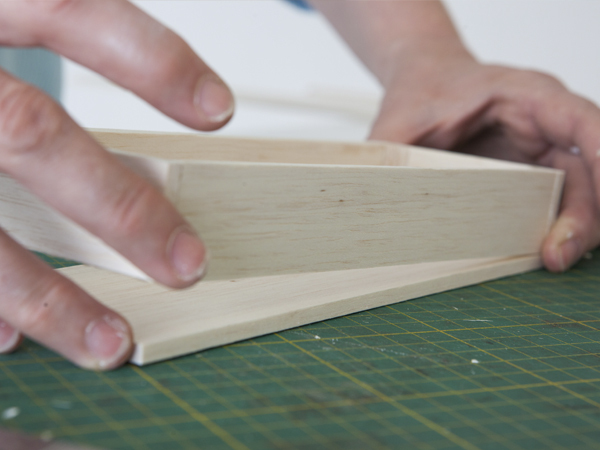 Place the box shape you’ve made on the Balsa sheet and measure the length of the base of the box. Cut with the craft knife. 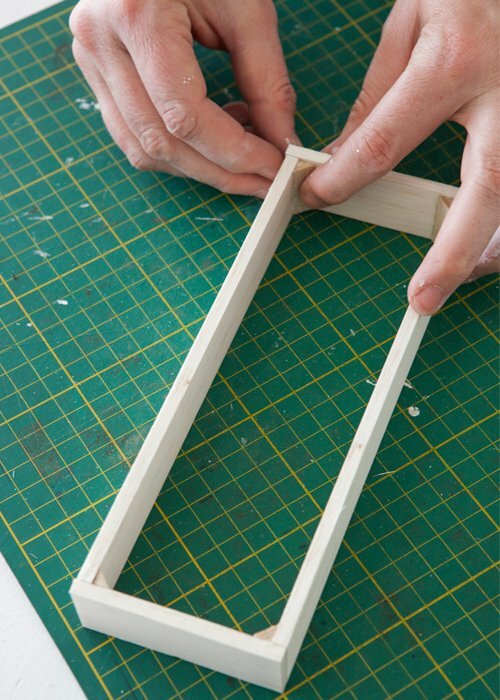 Stick the sides down on the base with glue. 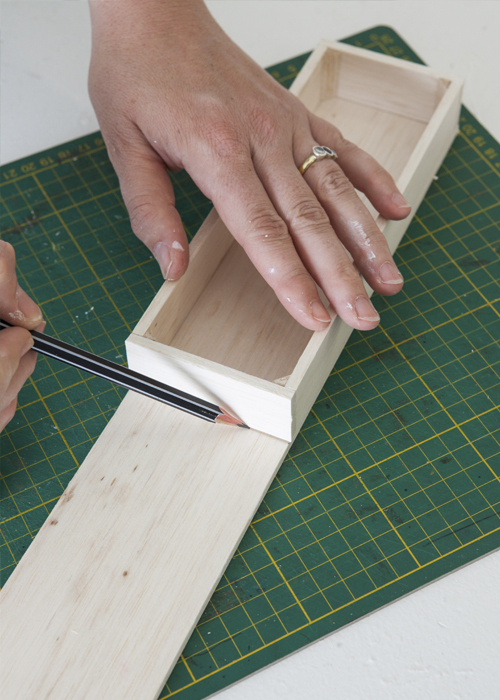 Let the glue cure for a few hours before you use your box. Continue to make different size boxes to fill up your drawer.